Home theater projectors have historically been a pretty pricey proposition, especially if you’re looking for HD-level quality comparable to what you’d get on a television screen. As technology develops, though, the cost of it drops, as well. Companies are making HD projectors at a fraction of the price (and size) of what you would have been able to find five to ten years ago. 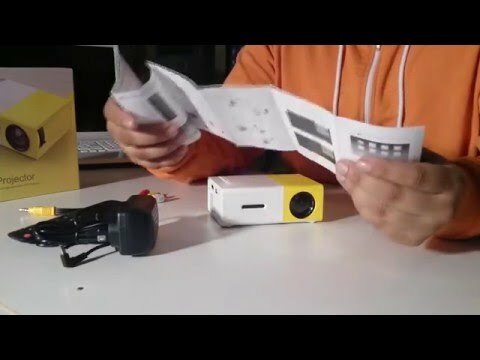 No product exemplifies this quite so well as the LumiHD Mini LCD Projector. Let’s start with the “Mini” part of the name. That’s a word that can mean a lot of different things depending on the company. In this case, we feel like the term is accurate. Most projectors are comparable in size to other A/V equipment, like set-top boxes or gaming systems. The LumiHD Mini projector is pretty much small enough to fit in the palm of your hand, measuring no more than 5 inches in any dimension and weighing less than half a pound. This makes it ideal for public speakers, business presentations, and even traveling art installations or theater productions—anything you want high-quality images that you can take anywhere. This isn’t the only thing that makes the LumiHD incredibly versatile, either. It’s also compatible with pretty much any source of content, including standard A/V equipment like DVD players, gaming consoles, and set-top boxes, as well as other sources like computers and tablets(>>> Learn how to conect projetor to tablet). You can also use it with external drives and SD cards. No matter where the content comes from, it will project it reliably with the same high-quality image. We were impressed by the image quality. It won’t give you advanced features like 4K UltraHD or 3D, although you honestly shouldn’t expect those for the price. What it does project is a vibrant 1080p resolution with a native contrast ratio and color accuracy comparable a high-end television. The only thing we found a bit lacking was the brightness. It can get up to around 600 lumens, which is enough to give you a good image if you’re using it in a dark room. It won’t be enough to give you a clear image in any kind of ambient light, however. If you’re not able to modify your space to give you complete darkness, you may want to look at different projectors. The lamp in this LumiHD model is high-quality (>>> Learn how to test projector’s lamp). It might not be the brightest option out there but it makes up for that in durability. You’ll get up to 30,000 hours of life out of these lamps, enough that you might never have to change it, no matter how much you use your projector. This is just one of the benefits that comes along with using an LED lamp. It also uses less energy and generates less heat, giving you a quieter, more efficient operation that’s ready to go as soon as you hit the power button. The biggest takeaway from this LumiHD projector review is that it’s a portable, durable device that will give you an excellent image in the right conditions. While the brightness can be a concern, you can also modify most spaces to accommodate the limitation. The small size doesn’t just make it portable. It’s also perfect for dorm rooms, RV camping, or other places you want a big picture but don’t have a lot of space. 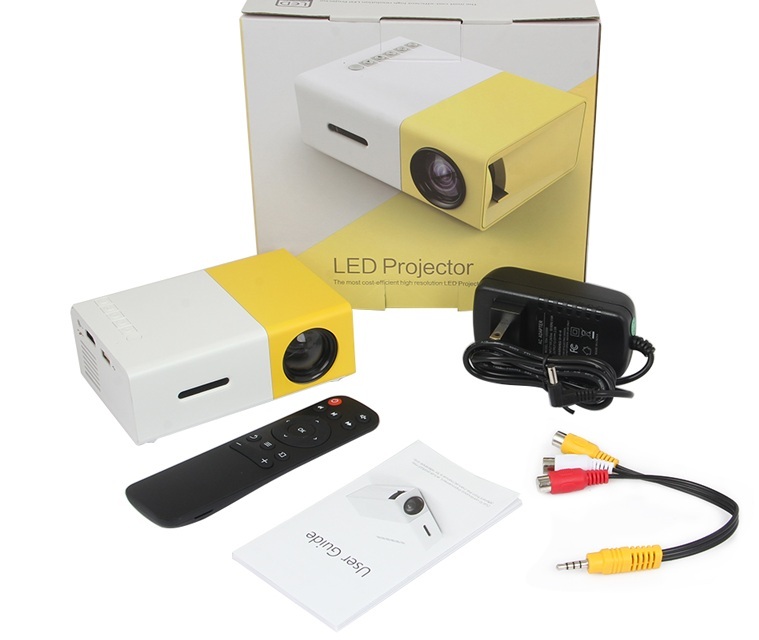 If you’re looking for value and versatility, the LumiHD Mini LCD Projector is the right choice for you.